Här har ni en länk till Ashley Bensons egna blogg. Tjejerna är omslaget på den Australienska tidiningen Girlfriend för Januari. Deras hemsida står längst upp till höger på omslaget, så kika in där ifall ni vill läsa mer! Marlene King har sagt att "Pretty Dirty Secrets ger dig definitivt en inblick i Pretty Little Liars ledtrådar"
Can we get enough of them? Någon mer än jag som skulle vilja ha den här T-shirten? OMG! Undra om det blir en Wrencer! :O /ett stort Wrencerfan. Är det bara jag eller känns det som att det alltid gått uppförs för Spencer? Kärleksproblem med Melissas pojkvänner, stulna skoluppgifter och Toby som verkar vara en av personerna i A-teamet. Hon har trasslat till det mesta själv, men det verkar som aldrig lyckas för henne, inte mer än för stunden. 1) More Wesley (Gregg Sulkin): We’re not sure what exactly we want from more time with Wesley, but we like the idea of learning more about Ezra’s family. And we also like the idea of looking at Wesley on a weekly basis. 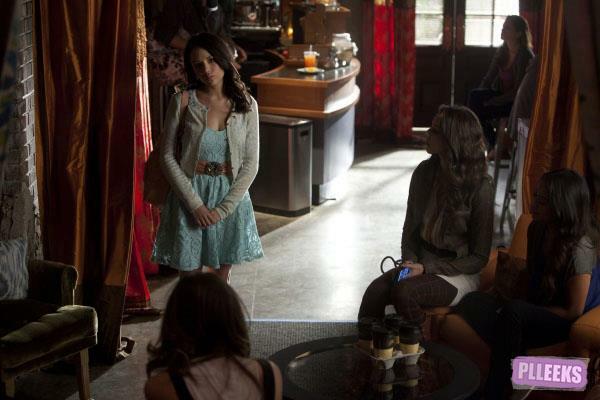 2) Mona (Janel Parrish) in a sweater set: Nothing would be more menacing than Mona returning to school in her old garb. Never would a sweater set have seemed so horrifying. Or perhaps we’re just nostalgic. 3) Sparia bonding: With both Aria (Lucy Hale) and Spencer (Troian Bellisario) experiencing (or about to experience) relationship issues, it’s the perfect opportunity for our favorite duo to get together and toss around snarky comments and knowing glances. 4) Toby’s abs: Just because Toby might have less-than-honorable intentions doesn’t mean that his abs should be punished for it. 5) More flashbacks: Between Byron’s (Chad Lowe) involvement, that very creepy ghost and the hand coming out of the ground, we need answers. And by answers, we mean that we need to know (and see) everything that happened the night Alison (Sasha Pieterse) disappeared ... from start to finish. Please? Tjejerna fick frågan om dom kunde namnen på tomtens alla renar, här får ni svaret. Här kommer en lista på dom rätta namnen! 3B spoiler - What happens to Emily? Romance: Good news, Emily/Paige (Lindsey Shaw) shippers: The couple will get "romantic" this season, and they might even say "I love you." 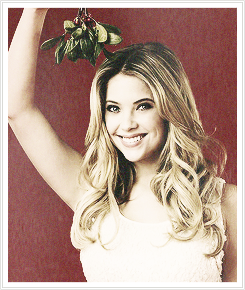 Emily's choice: In the preview for the season, we see Hanna (Ashley Benson) ask Emily "What are you thinking?" 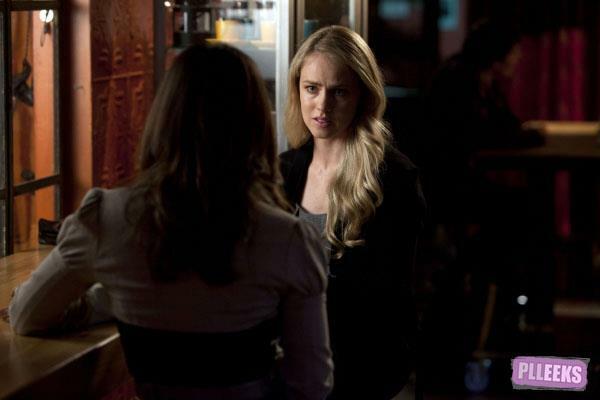 in a worried tone, and Emily replies, "We could end this." 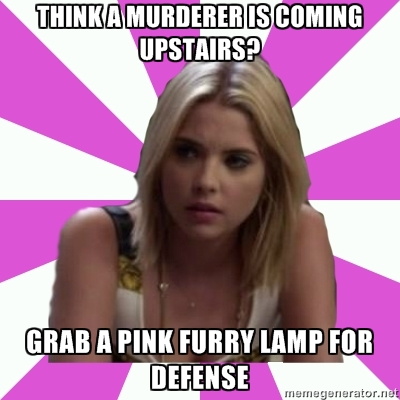 What does Emily want to do that has Hanna so worried? Olympic friend: Emily will meet none other than Olympic swimmer Missy Franklin this season. Here's the curious part: New girl Shana is the one who introduces them. What is Shana's deal, and how does she connect to Emily? A shovel? Emily appears to hit someone/something with a shovel in the same preview. Candy Stripers. It looks like Emily is back in that notorious candy striper uniform. But why? För er som inte vet så har Shay en blogg! PLL clue for season 3B episode 22. Now, lets try to theorize this quote bit by bit. My first thought was that somewhere in Rosewood someone commits another crime and this particular one may ‘shatter’ someones world. Leave them speechless maybe. This could mean something like once that crime is committed, you’re stuck or surrounded. Or maybe it means that someone tries to cover up the crime. This part makes me think that its possible the four liars are caught around the crime again and it somehow looks like they could be framed for it. Each of the animals could represent the girls. Aria would be the mole: Moles are kind of reclusive and try to stay away from things as Aria is not really around during the BIG stuff. Spencer the fox: Foxes are cunning and very intelligent. Emily the Partridge: This bird is very shy but will fight to protect. Where the quote will show up is unknown but chances are it could be expressed in an English class possibly on a chalkboard. Pretty Little Liars | We checked out the season opener airing Jan. 8, and paranoia is all the rage as Emily’s dad installs a home security system (can you blame him after all that’s happened?) and Mona returns to school but not before paying a nighttime visit to one of the girls. Meanwhile, Aria’s trying really hard to defend her dad against her friends’ suspicions, but a disturbing confrontation may force her to look at him in a new light. 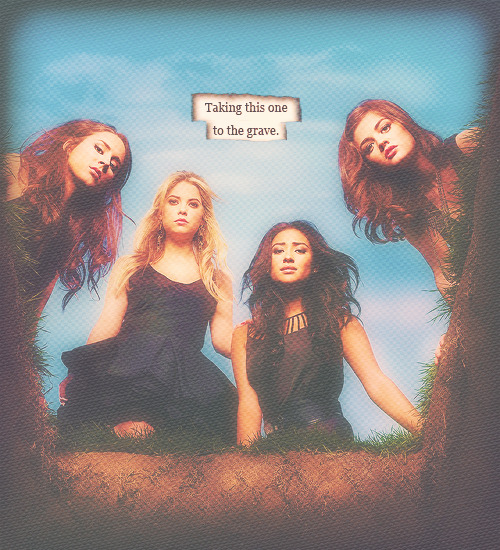 And if you, like the foursome, think you know who Aria stabbed during Halloween, prepare for a big twist! Lastly, two words: Cow brains. Sammy: Can't wait for Pretty Little Liars to come back! What's going on with Toby? Dude is E-V-I-L. Like the kind of villain that tries to run people over in a black SUV while wearing all black! Aside from that, Toby is definitely trying to get a paranoid Spencer off the "A" trail and does so by taking off his shirt and getting into a hot tub! Somehow, it doesn't work. (But man, does he look good shirtless!) Also showing off his abs in the midseason premiere? Jason, who seems to be getting pretty close with Mona. 3B spoiler - What happens to Toby? Is he possibly good? This is the big question on everyone's mind. The writers refuse to give a definitive answer, but they have dropped some hints. 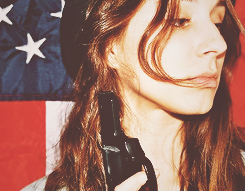 Showrunner Marlene King has confirmed that he really is part of the "A" team. However, despite having been quoted in one interview as saying Toby does not have good intentions, Marlene has tweeted that it is "not confirmed or denied" if Toby has good intentions. Is he dangerous? Good or not, Toby is definitely dangerous, at least according to PLL writer Andy Reaser. And we know we're going to see him teamed up with Mona (Janel Parrish), which isn't a good sign. 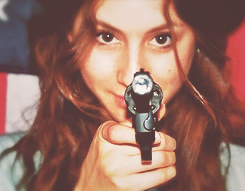 What about Spoby? : The writers have remained cryptic about Spencer (Troian Bellisario) and Toby's relationship, hinting that there might be hope for the couple, though obviously Toby's "A" team status makes things difficult for them. Either way, we'll definitely see some scenes of them togetherbefore Spence learns the truth, which is rather creepy. 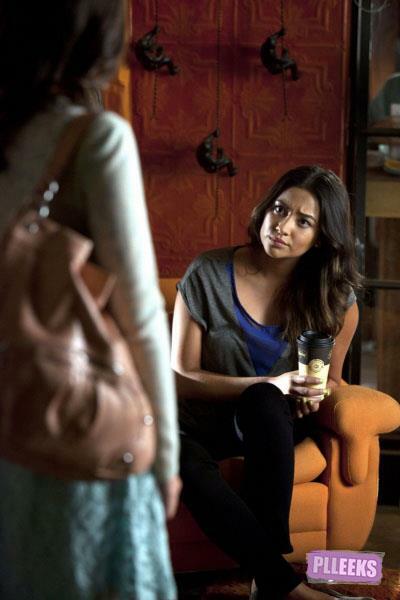 When will the Liars find out about Toby? 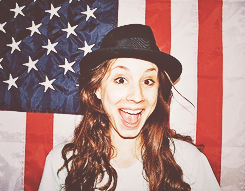 What about Spencer? We know one Liar will find out the truth on Episode 16: "Misery Loves Company," but we don't know who it will be. Meanwhile, Troian Bellisario has hinted that it's hard to keep big things from Spencer for long, and we know that Spence does find out at some point this season, and it's not pretty. He might be missing from... It sounds like Toby might be MIA in Episode 21. But just because he's gone doesn't mean people won't be talking about him. Dr. Sullivan? We know Dr. Sullivan is back in the winter season. Will her return involve Toby in some way? Many fans think it might, since he is the one who brought her back to Rosewood in Season 2. Vi alla har ju hört talas om den välkända tvillingteorin, eller hur? Nu känns det nästan helt säkert att Alison har en tvilling efter att Ashley Marin sett den lilla flickan i hennes kök som berättar en hemsk historia om hennes syster, och även från säsong 2, där Alison berättar en historia om två tvillingsystrar, vars den ena blir mördad av den andra. Nu tweetade Marlene King detta - undra om det är en riktig spoiler, eller på litet lur? Victoria in Phoenix: There's still over a month to go before Pretty Little Liars returns, and I can't take it anymore—give me some freakin' scoop! OK, but only because we've already seen the Jan. 8 midseason premiere (not to rub it in or anything)! After seven months of treatment at Radley Sanitarium, Mona's officially released and insisting "She's Better Now," which just so happens to be the title of the episode. 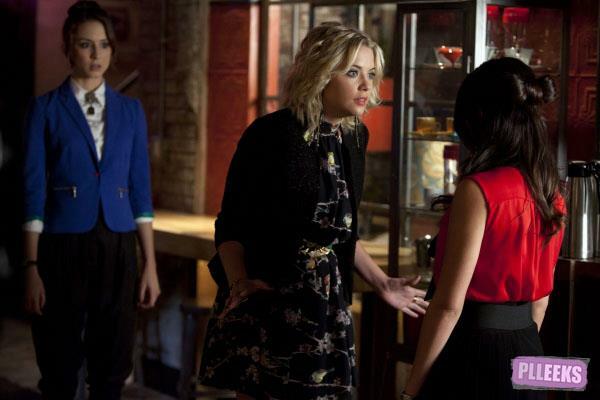 The Liars don't exactly welcome the A-Team-er back to Rosewood High with open arms (can you blame ‘em? ), and at one point, Mona actually roams the halls clutching—wait for it--a butcher knife! Not that she's the only scary thing happening at school: Look for one antagonistic character from the past to return as a sub for a teacher on maternity leave, while another turns up as a majorly creepy janitor—but only one of them gets trapped in a deliberately set fire. 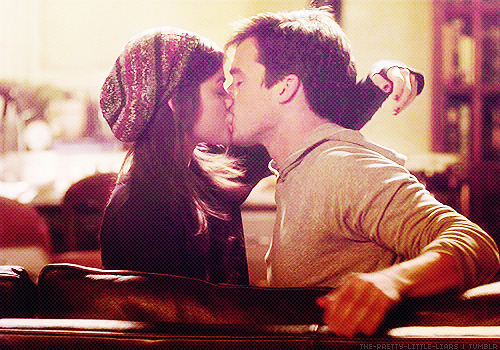 The best kissing scenes of TV series "Pretty little liars" on ABC Family. Det är inte jag som rankat, utan den som gjort videoklippet. Pretty little liars is nothing if not full of mystery, but there’s one character in particular who has been the center of nearly every mystery thus far, it’s the possibly deceased Alison DiLaurentis (Sasha Pieterse). Three years later, and we still haven’t solved the puzzle of her death. That is, if she died. And it doesn’t look like the second half of Season 3 is going to be any less shocking. Celebuzz caught up with Sasha to talk about what’s ahead for her very pretty, very secretive character. “The stuff that she’s hiding is amazing. There are so many big surprises. One in particular that I think will shock everyone — we can’t say anything, it’s so hard for us to say anything about anything — but there’s a lot of relationships that she’s had with people that no one knew about or would ever expect. So, it’s very interesting,” Sasha said. We know this is true from the very fact that we just learned about Ali’s “relationship” withByron Montgomery (Chad Lowe) in the Halloween episode (Season 3, Episode 13: "This Is a Dark Ride"). 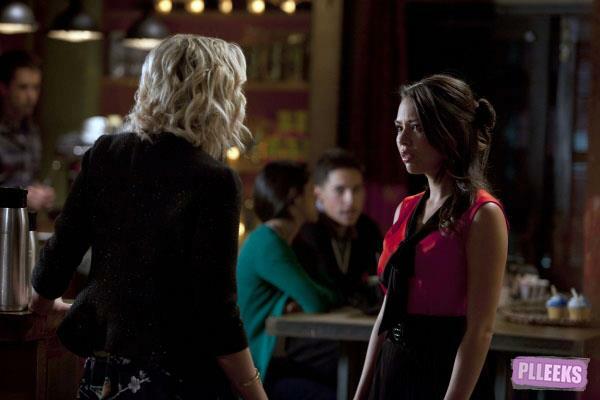 If parents are involved, is there anyone in Rosewood who is off limits to having a relationship with Ali? And what do you think is the one secret is that “will shock everyone?” Could she be referring to the twin theory? 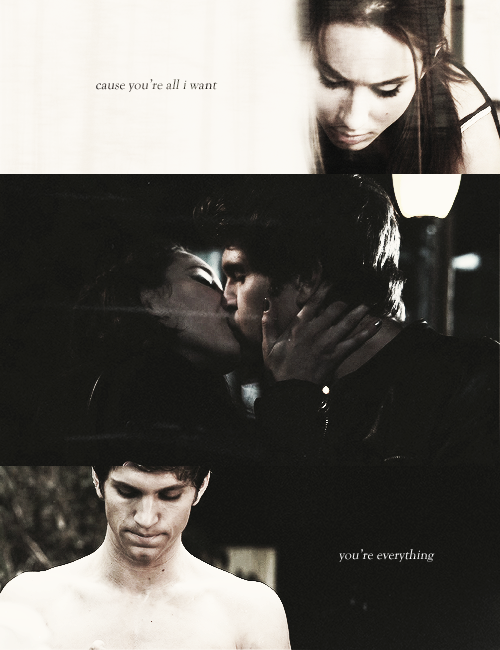 Or maybe it has to do with Toby’s (Keegan Allen) motivations? 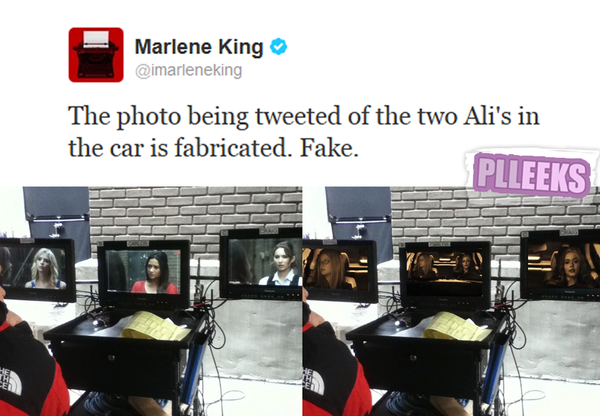 We know what would really shock us (well, one thing) … anything to do with Ali and Ezra (Ian Harding). Do you agree? Välkommen till din bästa blogg om serien pretty little liars!